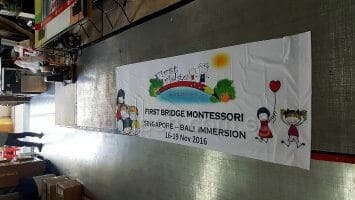 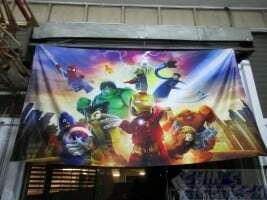 Cloth Banner | Fabric Banner | Great for oversea trip! 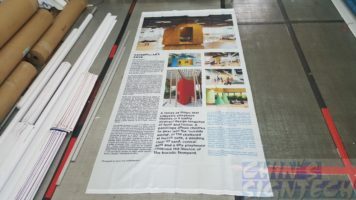 width seamless printing. 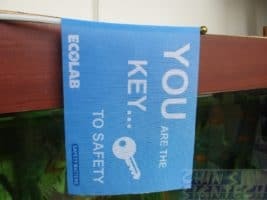 These lightweight, washable cloth banners can be folded for convenient transport and storage. 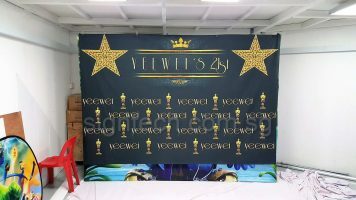 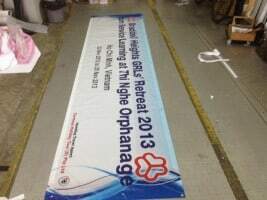 If you need something more grand for your event, we recommend doing on Satin fabric instead of PVC banner. 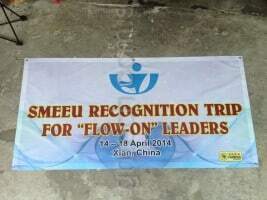 PVC banners are seen everywhere around us, there is nothing special about this kind of banner or backdrop. 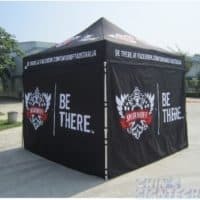 You need something more rare and eye catching for your event. 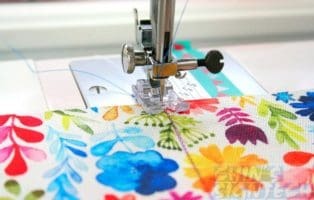 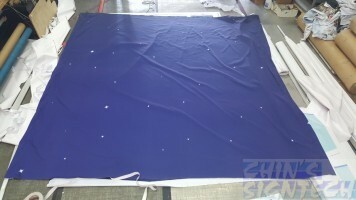 This satin fabric is like silk with shiny finishing, weight around 150gsm. 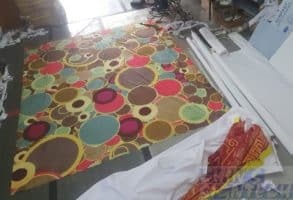 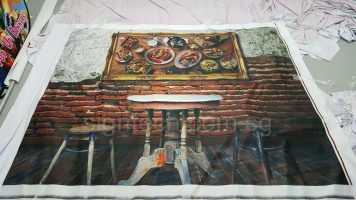 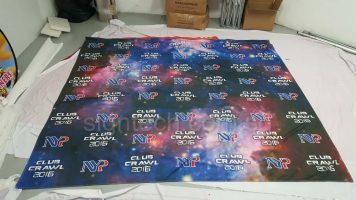 Fabric printed by dye sublimation ink, are washable and suitable for outdoor. 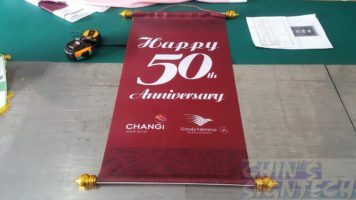 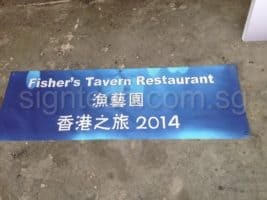 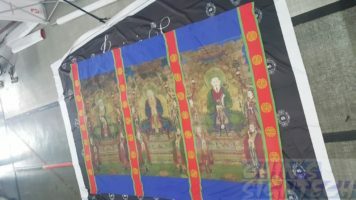 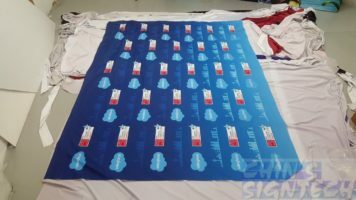 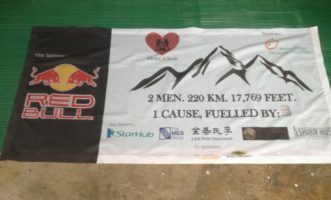 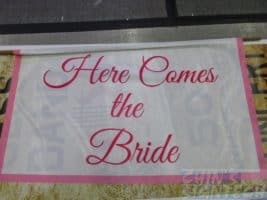 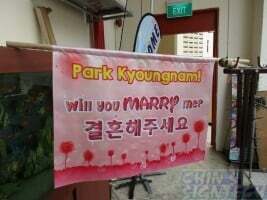 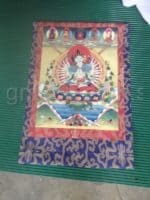 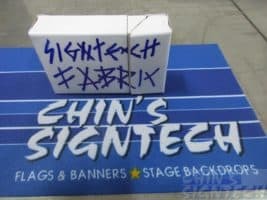 Fabric banners are commonly used at China for their grand event. 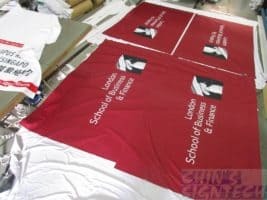 In some situation when you need to take nice photographs without any reflection, you need to use fabric instead of PVC banners. 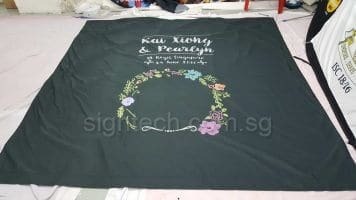 Fabric are matt surface and non reflective when Camera flash on it. 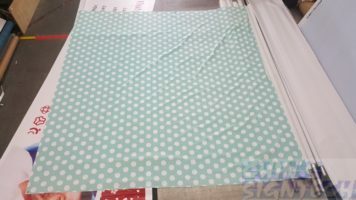 That is why Muslin which is a kind of fabric are usually use at photo studio. 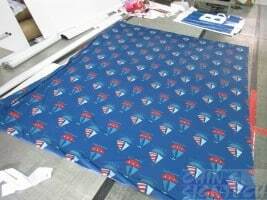 We can custom print any kind of designs up to 3.2m width seamlessly with our dye sublimation printer. 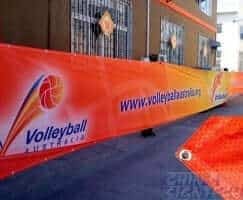 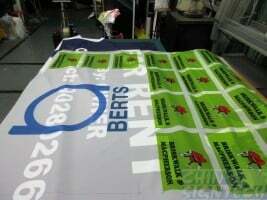 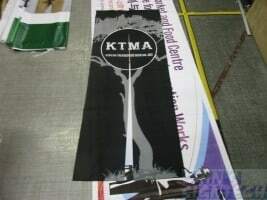 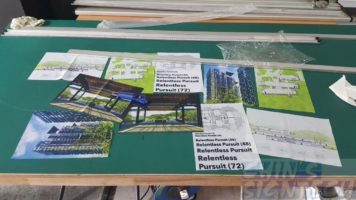 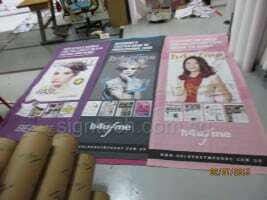 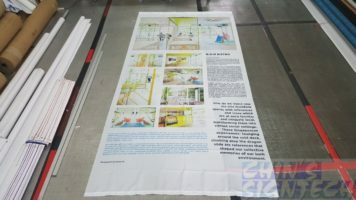 110 GSM Fabric Mesh Banner are usually use on fence, barrier or windy location. 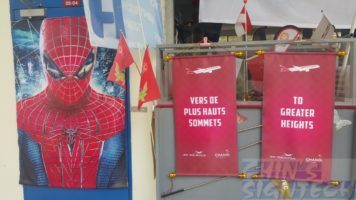 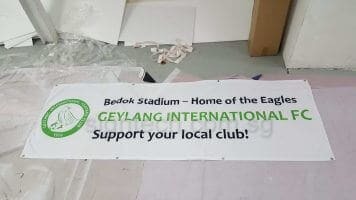 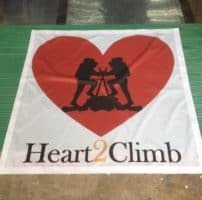 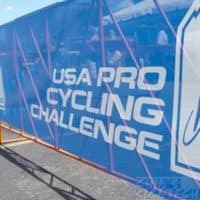 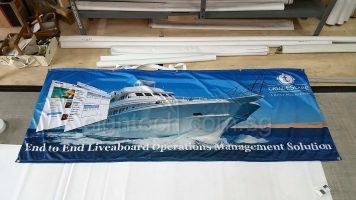 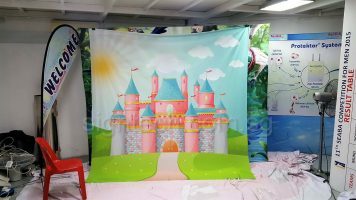 With tiny holes on the fabric, wind or dust can blow through, reducing the wind load which will prevent the banner to tear. 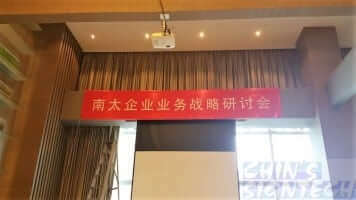 Many oversea countries are already using it to bring better air ventilation to passer by. 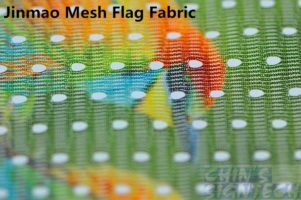 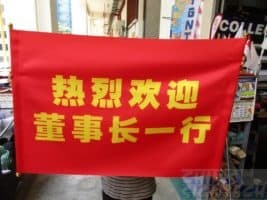 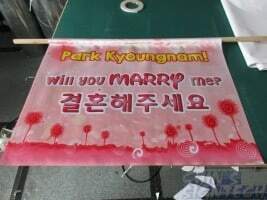 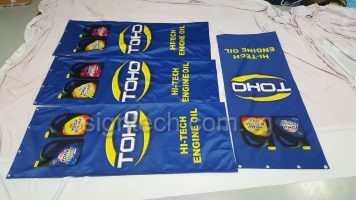 The colour on the fabric is more vivid than PVC Mesh banner. 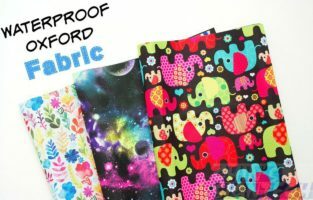 Waterproof Oxford fabric is a woven 100% polyester oxford fabric. 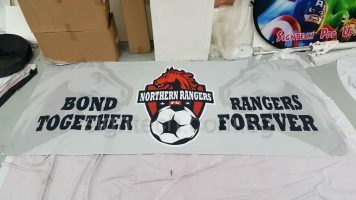 It’s finished with a durable water repellent and then laminated with a thin black or white polyurethane coating on the back. 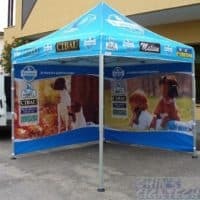 It means it’s waterproof on both sides and has crazy strong durability. 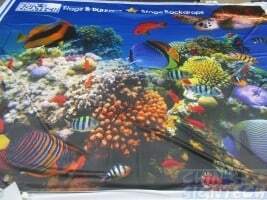 It comes nice & wide too – 58-60 inches. 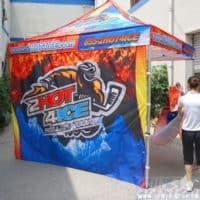 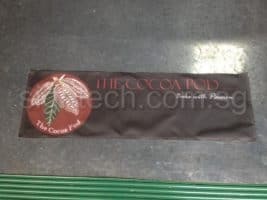 Mainly use for waterproof outdoor purpose, for Tents, Gazebo, Umbrella or advertising banners. 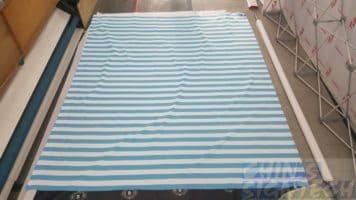 These translucent light weighted fabric are mainly use for beach flags, country flags, buntings or banners with mirror effect for decoration.